The Canadian government's dramatic efforts to save the North Atlantic right whale have upset fishermen, but one researcher says they've made a difference in protecting the animals. There have been no reported deaths or entanglements this year. The federal government will announce an update on the status of the endangered species later today, but Kim Davies says the management efforts are paying off so far. Fishermen versus North Atlantic right whales: Which group gets priority? By this time last year, six whales had died in the Gulf of St. Lawrence and there were several reports of entanglements. It's encouraging news for the population, which is estimated at 450. Of those, there are just 100 breeding females remaining. "There's no doubt that closing the fishing areas did reduce the risk of entanglement significantly," Davies told CBC Radio's Mainstreet. The Department of Fisheries and Oceans announced a number of measures in the Gulf this year, including closing fisheries in waters off northern New Brunswick and slowing the speed limit for ships in the western Gulf of Maine. The move has enraged some fishermen, who held a protest in June, saying their livelihood wasn't being considered in the dramatic measures. The head of the Maritime Fisheries Union said previously it doesn't want to see the whales injured, but the changes were happening with little consultation. Carl Allen said lobster fishermen were being asked to pull traps in areas where they have never seen a right whale and he called for exemptions in shallow water. But Davies said even the loss of one whale would be significant. 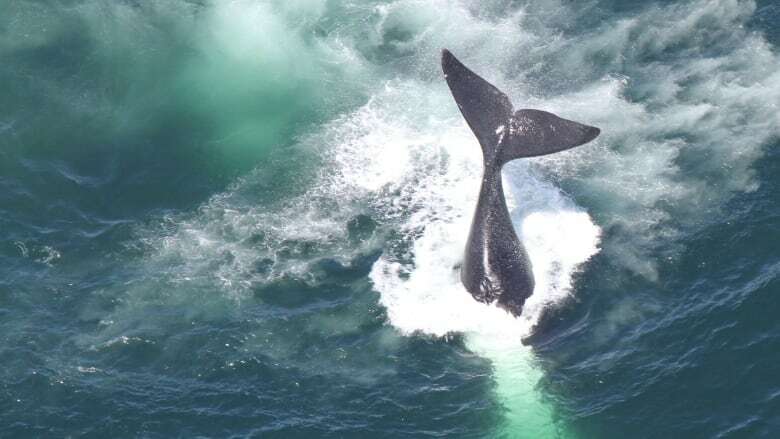 "Individual right whales will go very close to shore, they go close to shore all the time in Cape Cod Bay and other areas of the Gulf of Maine, and they have occasionally been sighted close to shore in the Gulf of St Lawrence," he said. "Individual animals are like deer, they're migrating around, they're moving. Sometimes deer will come in your backyard, sometimes right whales will come close to shore. Because the minister took the stance that every animal needed to be protected, that was the scientific information that led him to make that decision." Davies said the whales have returned to the same area where they have been tracked in the last three years, giving conservation efforts an edge. So far, 111 right whales have been tracked in that part of the Gulf. "So the closed areas that were enforced were very effective because they were able to anticipate where the animals would be making their habitat." Since January 2017, there have been 19 deaths of North Atlantic right whales in U.S. and Canadian waters — 12 off the Canadian coast and seven off the U.S. That accounts for four per cent of the population. Necropsies on seven of the carcasses last year determined four whales died of blunt force trauma from collisions with ships, while the other three likely died of entanglements. Davies will be part of a team that will head to the Gulf in two weeks to research the animals. They'll be looking at the behaviour of the whales, which could help inform more management decisions, possibly changing them in the years to come. "This is a topic that's no doubt going to be up for discussion in future years," she said. "Obviously the population is in dire straits after all the deaths last year and the fact that no calves have been born.... And so protecting every single animal is a priority." 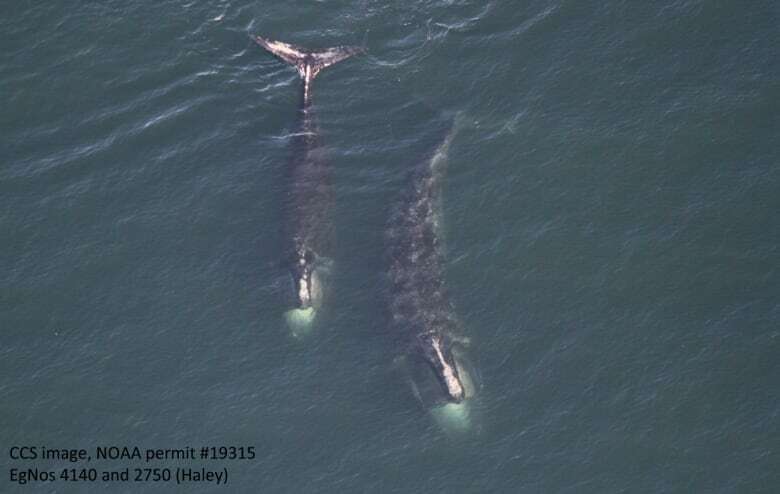 The right whales can't be tagged, in part because in the past, tags have led to infections on the already vulnerable species. Because of that, Davies calls them "moving targets." This year, in an effort to further understand their migration habits, there will be a record number of aerial surveys, which will continue into the fall. 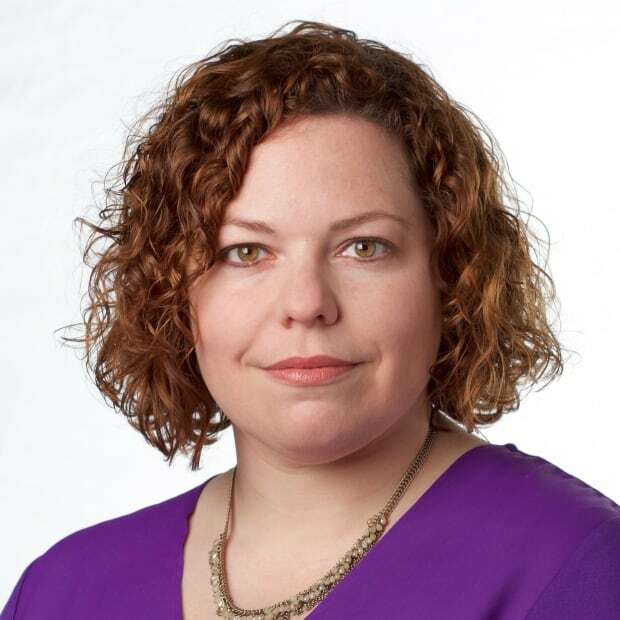 Davies hopes these efforts help researchers find their missing summer and fall nursing grounds that scientists have spent decades trying to find. Will global concerns over whale deaths kill N.B. 's lucrative snow crab industry? 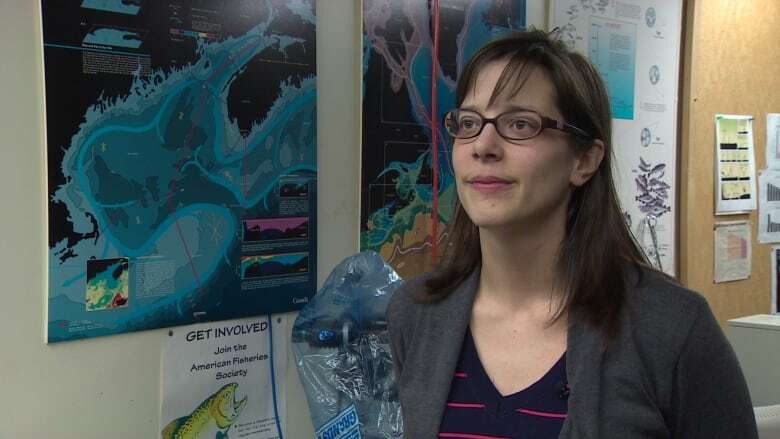 She said there's a possibility the whales are staying in Canadian waters, which could give researchers and the government more direction on prevention measures. "Unfortunately we're not going to be able to answer that question this year because there were no new calves born in the population, but we hope if and when the calving starts increasing again, if we're paying attention to this area still, we'll be able to answer that question."